Raleigh, N.C. — Jurors adjourned for the day Friday afternoon and will resume deliberations Monday morning over whether to impose the death penalty on the Wake Forest man convicted of killing his three neighbors or send him to prison for the rest of his life. The panel heard instructions from Superior Court Judge Graham Shirley for about an hour before being excused to the jury room to decide the fate of Jon Frederick Sander around 3:30 p.m. Friday. Jurors sent a note to the judge shortly before 5 p.m. saying they wanted to adjourn for the day and return Monday morning. On Friday, court resumed at 9 a.m. for closing arguments from both sides and Sander had to be removed after he began yelling at a prosecutor as she recounted for jurors how Sander used a shotgun to brutally kill Sandy Mazzella, 47, his wife, Stephanie Ann Mazzella, 43, and Sandy Mazzella's mother, Elaine Mazzella, 76. "There was no blood on her!" Sander yelled at Assistant District Attorney Melanie Shekita as she spoke about how one of the victims was shot in the face. The judge warned Sander to be quiet, prompting him to respond, "It's my life involved. I was framed." Superior Court Judge Graham Shirley ordered Sander removed from the courtroom, which prompted applause from someone in the audience. That brought a warning from the judge. "Hey! Stop it! I want no outburst from anyone in the gallery," Shirley said before declaring a 10 minute recess. 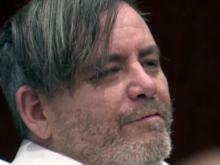 Jurors convicted Sander on Monday in the deaths of the three victims. The panel must now decide whether to impose the death penalty or a life sentence in prison. "Nothing about the process has been easy," Assistant District Attorney Stacy Newton told the jury. "But now we're at the hard part (and) it's the hardest burden placed on any jury in North Carolina." On Thursday, the jury heard from Sander's wife as she showed photos of the defendant with his young children. That brought sobs from Sander as his wife recounted the stories behind the photos. 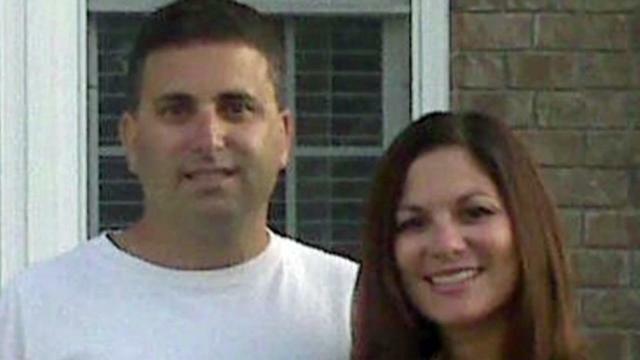 Sander admitted to investigators that he shot the Mazzellas, but he maintained that he had "snapped" and that his recollection of killings was foggy. In the videotaped interview, which took place several hours after the shootings, Sander told a Wake County Sheriff's Office investigator that he feared losing his family because of the molestation allegation, so he wanted to "get even" and grabbed a loaded shotgun in the garage and headed next door. During the first portion of the trial, defense attorney Tom Manning told jurors in his closing arguments that they should convict Sander of second-degree murder, saying he wasn't calm enough to plot the killings. But prosecutors disputed that, saying Sander plotted the murders and deliberately killed the family. "This case is about revenge," Shekita said. "He chose to go into that house with a shotgun." But the defense argued that Sander's mental illness was the motivating factor in why he killed the victims. "Untreated mental illness played a substantial part in what happened here," the defense attorney said. Defense lawyers said Sander was bipolar and suffered other mental illnesses.